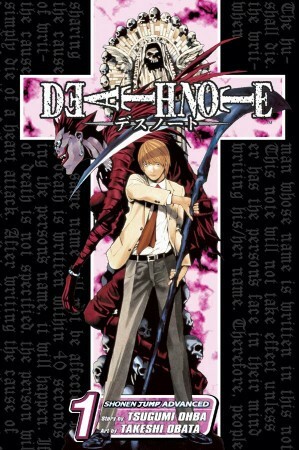 Image: DEATH NOTE © 2003 by Tsugumi Ohba, Takeshi Obata / SHUEISHA Inc.
We are pleased to announce that The Japan Foundation, New York is co-sponsoring two panels with New York Comic Con and VIZ Media at New York Comic Con this year with the appearance of Takeshi Obata, the artist best known for his work in All You Need Is Kill, Death Note and Bakuman. Shonen Jump Manga Artist Takeshi Obata (Death Note, Bakuman, All You Need Is Kill) and Weekly Shonen Jump Editors from the U.S. and Japan discuss what’s new and what’s next for the long-running manga anthology that launched best-selling series like Naruto, Bleach, One Piece, Dragon Ball, Death Note, Bakuman and more! Join Special Guest Takeshi Obata – the manga Artist behind acclaimed series such as Death Note, Bakuman and All You Need Is Kill – and his Editor, Koji Yoshida for a conversation about Obata’s beginnings as an Artist, his extensive history working in the manga industry and the creative process behind his works. Don’t miss this extraordinary opportunity! NOTE: Tickets to New York Comic Con are required, limited in number, and available at newyorkcomiccon.com while supplies last.